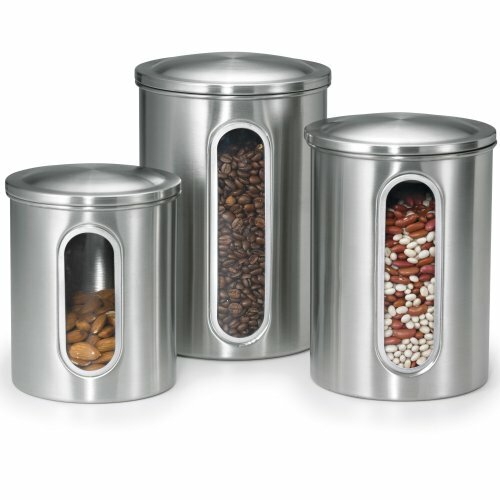 This Oggi canister set is a must-have. 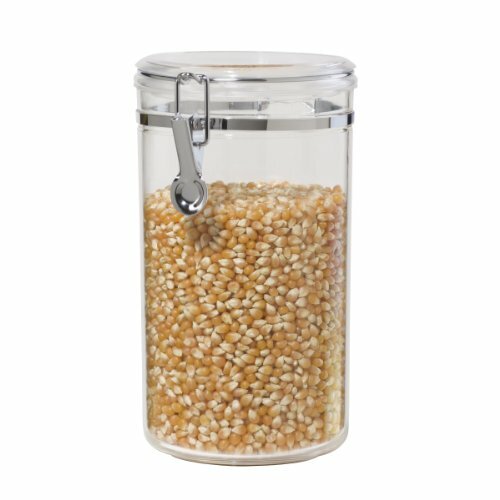 Store popcorn, cereal, sugar and so much more in this 5-piece canister set. 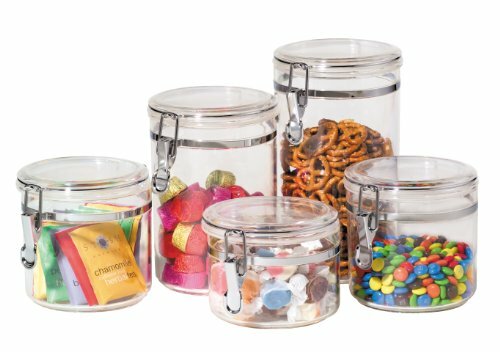 Sizes include: 22oz, 2-26 oz., 51 oz. and 65 oz. 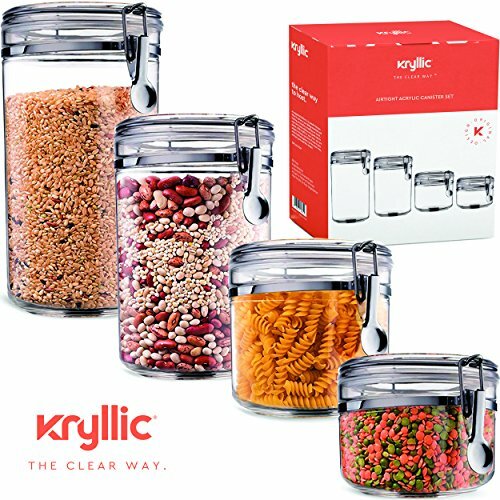 Clear acrylic lets you see what's inside. Lightweight, yet strong and break resistant. 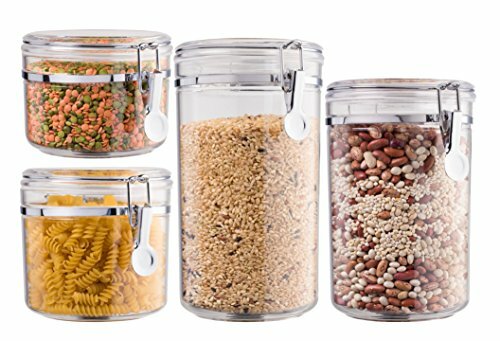 Ideal for organizing your pantry shelf. 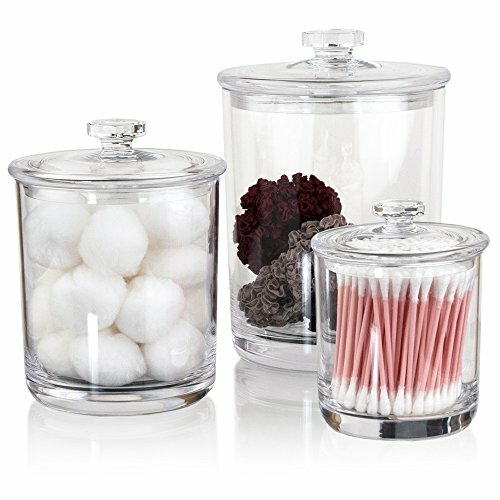 Store snacks, tea, flour, sugar and more in this acrylic canister by Oggi. 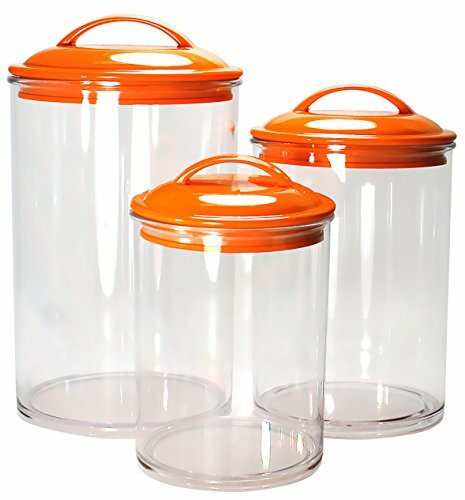 Flip top locking lids with a silicone gasket that seals tightly -keeps your food fresh longer. 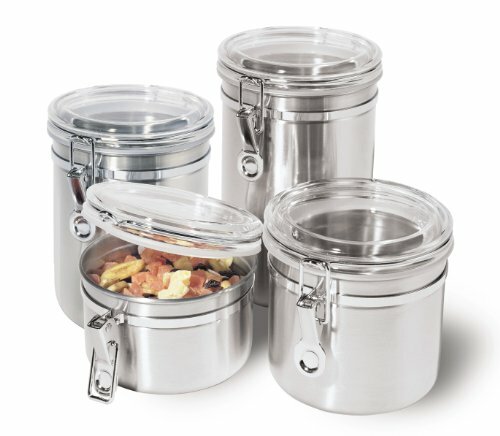 Made from BPA-free material. 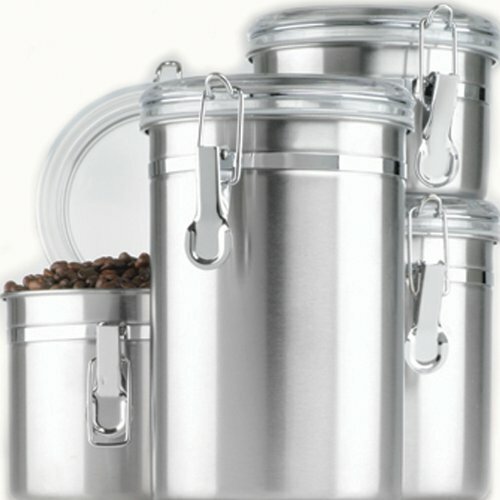 Oggi 4-Piece Stainless Steel Canister Set with Acrylic Lid and Clamp-Set Includes 1 each: 26oz, 36oz, 47oz, 62oz.